Rat and mice removal are a common problem worldwide. Guaranteed rat and mice removal services starting at $200.00. Call us now at 407-733-8623. Free estimates! Give us a chance to beat our competitors’ prices! Rats are currently responsible for destroying or contaminating between 5 to 10 percent of everything that humans produce worldwide. Considering a world population of 7.2 billion at the beginning of 2014, it’s obvious that, if you have a rodent problem in your home, you’re not the only one. Rats and mice are considered commensal rodents. Commensal, in this case, meaning that these rodents lead a life directly related to humans. Historically, once humans began growing and storing food for future use the rat population boomed alongside our own increase. What this means for us is a constant guarantee that wherever we go as people, rats and mice will surely follow and cause us problems for generations to come. 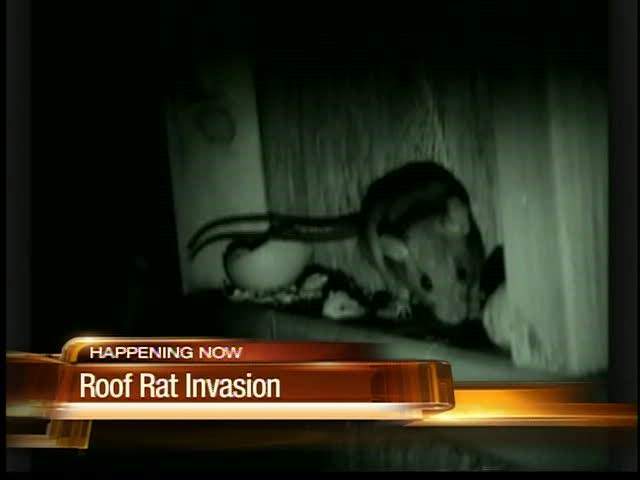 In Central Florida, we have 3 species of commensal rodent that we commonly run into: the roof or black rat (rattus rattus), the Norway or brown rat (rattus norvegicus), and the house mouse (mus musculus). Each of these 3 pests are identifiable, not only by sight, but by the evidence they leave behind. 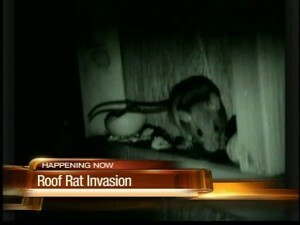 Roof rats, like their name suggests, are typically found high up in lofts or attics. Norway rats, on the other hand, are burrowers, rarely making their way inside of homes or businesses. House mice, on the other hand, typically travel similar routes and make their homes in much the same manner as the roof rat, but make much smaller nests, gnaw-marks and droppings. The good news is: regardless of which critters may be causing you distress, Florida Wildlife Busters is capable of quickly determining your problem and effectively solving it for good. Rat or mice removal isn’t easy for anyone, but once we determine the methods they can use to enter your home, we can seal these areas off completely, guaranteeing your home free of rats and mice.